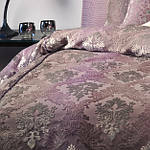 Brocade duvet and pillow shams made with a delicate designed dyed velvet bedding. Silk & rayon velvet front, silk charmeuse back. Dry clean only. The various elements found in Kevin O'Brien bedding come from all corners of the world and can be arranged in many different ways to reflect many different settings and moods. 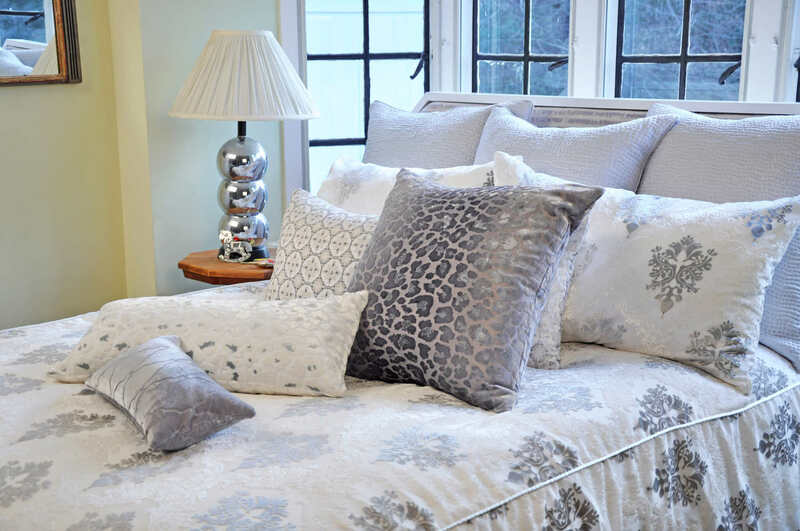 To complete the ensemble, we recommend pairing the bedding with Hammered Quilted Silk Bedding and luscious Kevin O'Brien decorative pillows. 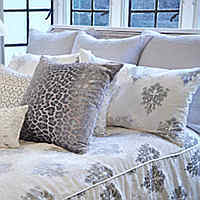 We recommend that you order samples before ordering your bedding. However, please note that with any handcrafted product, colors may vary from samples. Refer to item A in photo. 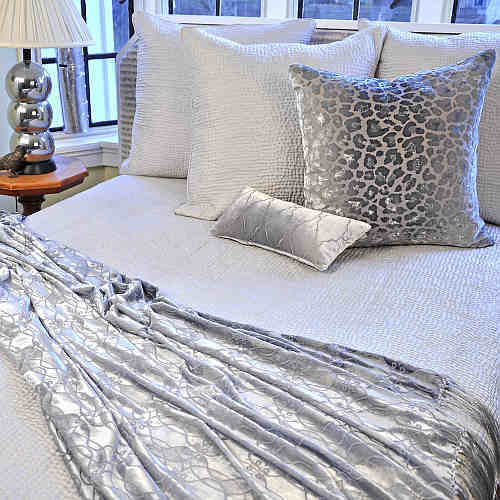 Silk-rayon velvet bedding painted by hand. Shown in White. Refer to item B in photo. 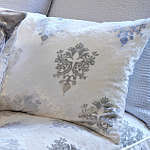 Silk-rayon velvet shams/pillows painted by hand. Shams sold as case only. 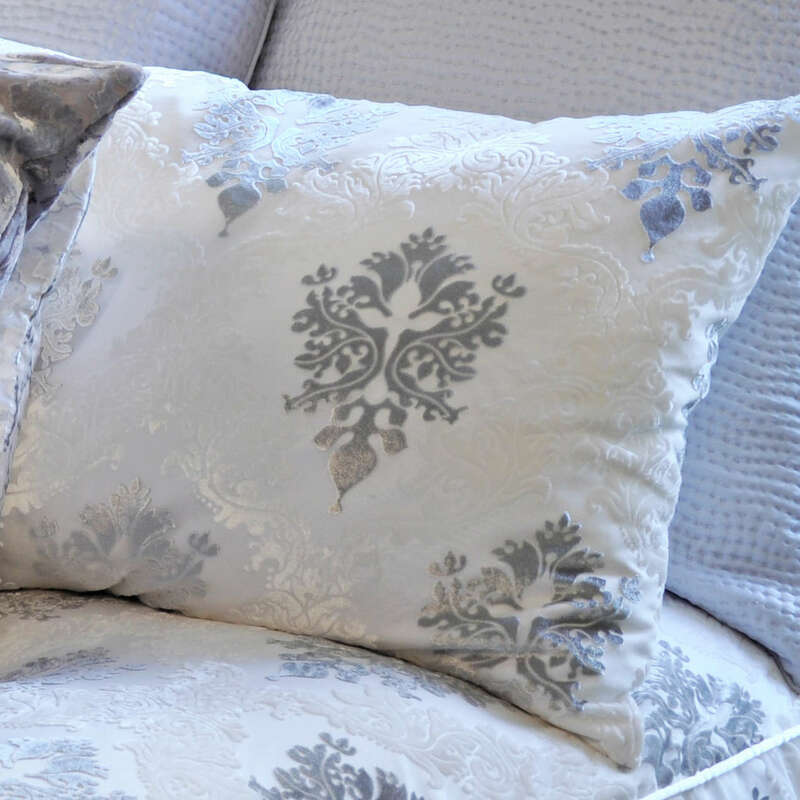 Pillows include filler. Shown in White. Refer to item C in photo. 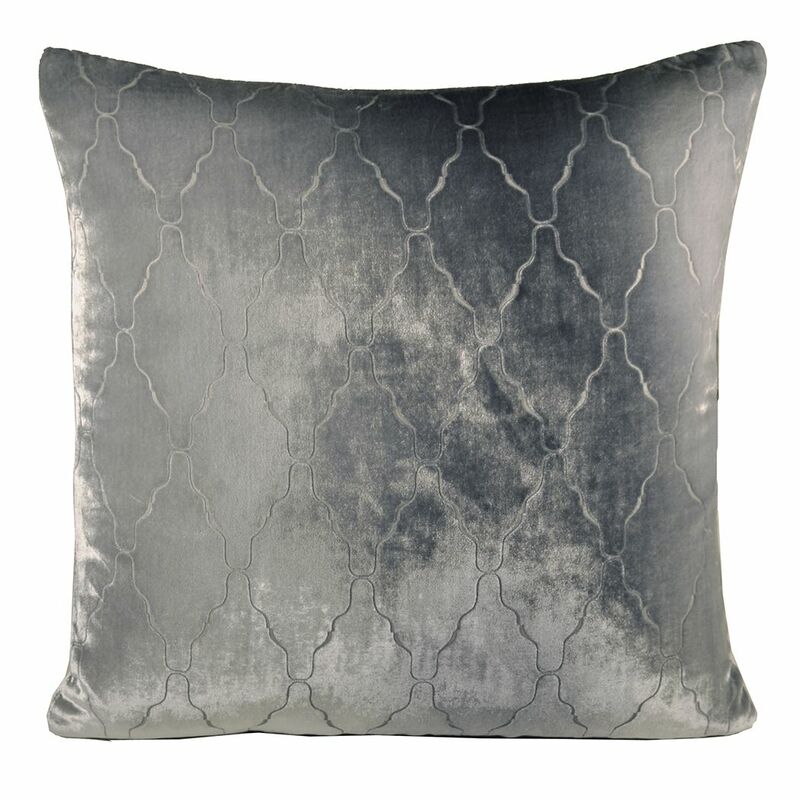 100% Silk face, 100% cotton back. Case only. Shown in Silver.